In any workplace, you’re going to have to deal with employees calling in sick. But with call centers and other high-stress places of employment, you may find yourself dealing with higher-than-normal absenteeism, especially during busy periods. Customer service reps are far more likely to take a sick day than any other type of employee. Sickness: There are times when an employee is genuinely sick. It’s best to let them take a day or two off, especially if the illness they are suffering from is contagious; you don’t want half your CSRs out with the flu, especially if it’s a busy time. 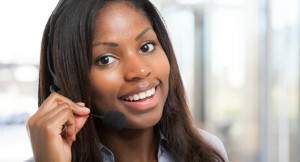 Stressful/Busy Period: Any call center goes through busy periods, especially around the holidays. Most CSRs can handle these busy periods with ease, but it may be overwhelming for new, inexperienced employees or someone who may be experiencing stress in their personal life. Difficult Customers: Working in customer service, it is inevitable that you’re going to have to deal with an upset customer. Most CSRs are well-suited to deal with this, but for less-prepared employees, dealing with them day in and day out can be stressful, leading to absenteeism. Family or Personal Crisis: A family member may have passed away or be in the hospital or the CSR themselves may be hospitalized. Using up Sick Days: At the end of the year, you may notice that there’s an unusually high number of employees calling in sick. They may just be trying to use up sick days, so be sure to clearly set out your sick day policy when your employees are hired. Their Child’s Sick: When an employee calls in sick, it may just because their child is the one who is ill. Have policies in place so parents can take time off if their child is sick. No Motivation: An employee may not feel committed to their job, and therefore call in sick regularly. Injuries: This can vary from a car accident on the way to work to chronic injuries, such as neck and back problems and carpal tunnel syndrome. Harassment: If an employee is being bullied or harassed by other employees, they may start calling in sick to avoid confrontations. Whatever the reasons your employees are calling in sick, their absence can lead to a loss of productivity for your organization. 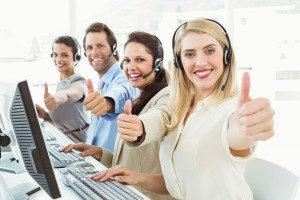 There are legitimate reasons why an employee will not be able to help calling in sick, such as their or a child’s illness or an injury, but if it’s reasons such as harassment or a lack of motivation, deal with these issues immediately, whether by disciplining or dismissing the employees harassing the worker or finding a way to motivate the employee who is lacking.